This book was really silly and weird but I liked it because I like weird and silly books! Alice Miranda and her friends travel to France with their school Winchesterfield-Downsfordvale and the Fayle School for boys. They are very excited because they are going to get to sing in a show for Paris Fashion Week. Alice Miranda and her friends practice for the show and meet lots of famous designers, however soon they find themselves in the middle of a mystery – some really expensive fabric, essential for fashion week, has been stolen! Are any of the designers harbouring dark secrets? Will they be able to solve the mystery in time for Fashion Week? This story is about a toy rabbit called Edward. He lives with a little girl who dresses him up in lots of outfits and always places him at the windowsill to watch her come and go from school. One day the little girl’s parents announce that they are moving to London. Travelling on the deck of a large ship, some young boys throw Edward into the ocean where the girl cannot reach him. Then Edward’s adventures begin. On a mission to return to the little girl Edward meets lots of odd characters such as a fisherman and hobo. But will he ever find his way back home to her? 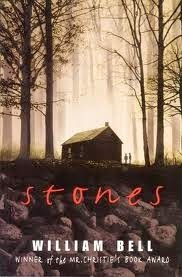 Horrid Henry wakes the dead by Francesca Simon - reviewed by Jack C.
This book contains 4 stories. Two of my favourites were 'Horrid Henry and the TV remote' and 'Horrid Henry wakes the dead'. In 'Horrid Henry and the TV remote', Horrid Henry and Perfect Peter struggle to gain control over the television. Whoever manages to sit in the black chair gets to choose what they watch. Horrid Henry uses some pretty horrid tactics to win, pulling Perfect Peter’s t-shirt and even hiding the remote. Will Horrid Henry get his way? In 'Horrid Henry wakes the dead', Henry and his classmates are preparing to perform in the school’s talent show. They’re very excited because the winner of the show gets to be featured on the TV show Talent Tigers! Horrid Henry wants to win at all costs. He must compete against lots of acts such as Ralph burping to the beat and even a caveman act about ‘Stone Age Steven’. Henry is confident he will win with his rap act, until he finds out Moody Margaret wants to do rap too. Their teacher Miss Battle-Axe says only one of them can do rap, and she chooses Moody Margaret. So Henry decides to put on an amazing magic show instead in which he will attempt to raise the dead! This is the second book in the 39 Clues series. Amy and Dan come from a big old family. They don’t much like their harsh and clever relatives who they are battling with to find the clues of their Grandmother’s will. At the end of the first book they find a clue which is a piece of music by Mozart. They travel first to Vienna and then to Italy in order to learn more about the second clue and hopefully beat their evil, campaigning relatives. Rated: 4 reallys - "I found this book really exciting!" 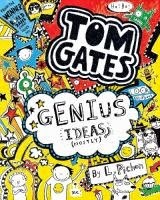 This is the fourth book in the Tom Gates series. The book begins with Tom getting a big shock about his older sister Delia. One of Tom’s genius ideas involves thinking about how to create the best day ever in which he gets to set all the subjects at school. He chooses music, art and fun experiments. Of course he also has to deal with his nemesis Marcus Meldrew. This book has lots funny cartoon pictures too, and a mini flip book in the corner. Rated: 4 reallys - "I liked this book because it was really funny." Rated: 4 reallys - "I would call it a horror-thriller. It was a very good read." This story is about a boy who is quite poor called Jesse Aaron, who has four sisters named May Bell, Brenda, Ellie and Joyce Anne. Jesse is in the fifth grade at school and wants to be the fastest runner in his year. He is set to win the school’s race until the new girl Leslie, who lives next door, manages to beat him. Leslie ends up getting expelled from school and over time they become good friends. Before then, despite having sisters, Jesse had been a bit lonely, drawing by himself and only ever showing his pictures to his music teacher. Jesse and Leslie build a fantastical stronghold near an apple tree that they visit and daydream about adventures in. One day Leslie goes to church with Jesse and his sisters and explains that she thinks the bible is a great story but not real. Jesse and his sisters have trouble understanding this. This book is the second in The 13 treasures trilogy. A girl called Red is on a mission to find her brother. While on his trail she gets sucked into a fairy realm and is immediately caught by the Hedgewitch. The dad of her friend and ally Fabian gets sucked in and captured too and they must work together to escape. In order to find her brother Red must find an audience with the mischievous and cunning Seelie and Unseelie courts of the Fairy Kingdom. They demand that she find all of the thirteen pieces of a magic charm bracelet scattered about in the human world for them before they will consider returning her brother. But a curse is growing over the charms, getting worse each day. What will it cost to collect the pieces? And will the fairies pay up? Rated: 4 reallys - "I really enjoyed it." My favourite part of this book is when Greg and Rodrick’s mum Susan comes up with the ‘Mum bucks’ system. She gives them monopoly money for doing chores which they can cash into her for a penny a note. This is pretty exciting because they have no money. Rodrick blows all of his straight away on heavy metal magazines while Greg saves his up. Soon Greg gets greedy and decides to take the monopoly money from his friend’s game too. He ends up having to give it all to Rodrick though, rather than spending it himself because he wants Rodrick’s assignment for school. Susan is confused when Rodrick tries to cash in $20,000 in the hopes of buying a motorbike! 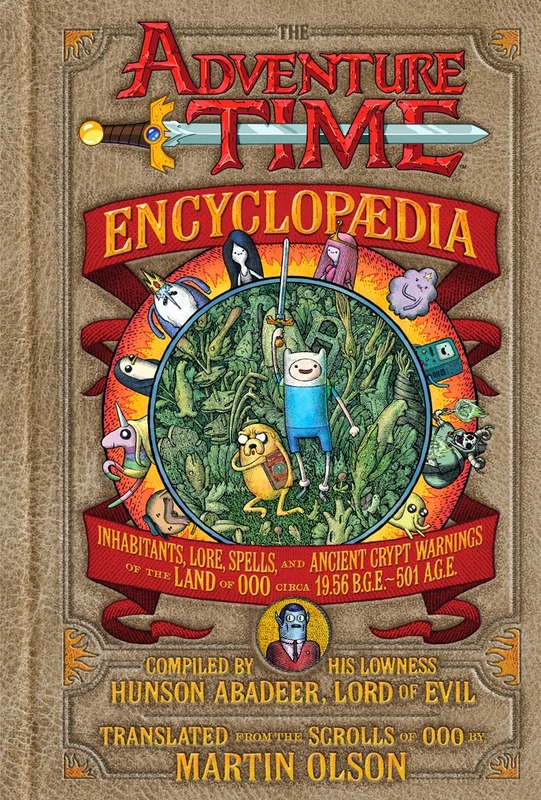 This book follows the Adventure Time television series. It’s great to read if you watch the series because lots of the characters like Jake the Dog and Princess Bubblegum are explored in more detail. It is written by the evil sucker of souls Hunson Abadeer, who also happens to be the dad of Marceline the Vampire Queen. Broken up into chapters such as ‘Worthless inhabitants of the Land of Ooo’ and ‘The Land of Ooo and You’, everything you need to know about the characters and their relationships, the spells and the secrets of the Land of Ooo are revealed. There are also lots of little songs that are really funny and pictures throughout. Some parts went on and on and weren’t that interesting, but overall it was awesome. Rated: 4 reallys - "It was fun to read because the characters provide their own commentaries throughout."